Soon children will be filling their backpacks with new notebooks and pencils and piling into yellow school buses. Even if your school days are long past, you need not be left behind. 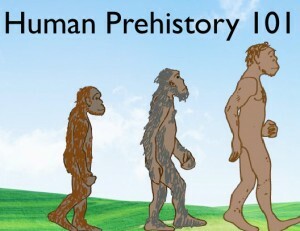 Learning is life-long, and you can continue your education using 23andMe’s short animated guides to human prehistory. Distributed on-line both on our website (just the first three videos) and at the Khan Academy (all five videos), watching these free educational videos couldn’t be easier. To learn a little more about genetics you don’t even need to get on a bus, just your computer. It is time to go back-to-school! To take the 23andMe course in Human Prehistory 101, watch the following five videos below. This is the first of three educational courses we’ll be posting in honor of the “Back-to-School” season. You can check how well you really were paying attention by trying our “quiz” after the videos (and you stand a chance of winning a $25 Amazon Gift Card). We’ll be announcing the correct answers and the winner of the contest on Wednesday, September 5th. Upon completion, you can take pride in your new knowledge by printing out a certificate that signifies your new human prehistory expert status! Update: This quiz is officially over! Check out the answers here. You have now completed the entire 23andMe Human Prehistory course, the first in a three-part Back-to-School educational course series! Click on the certificate below get a larger image which you can print out and display it with pride. Want to continue your education? You can learn about your self from both a health and ancestry perspective on 23andMe. Not yet a customer? Visit our store.